Thanks to Content Marketing Institute and MarketingProfs, each year there’s a new report covering the latest trends in B2B content marketing. From insourcing vs. outsourcing to the most effective tactics, there is plenty of insight in this report to help guide B2B marketers in the right direction. As a blogger, public speaker and strategist, I know how convenient it can be for statistics in a report like this to be broken out. 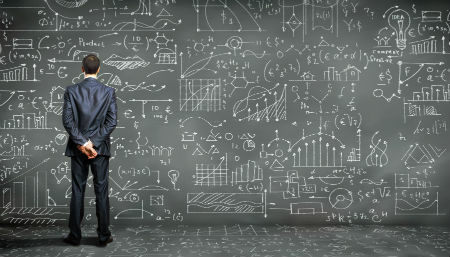 I did this once before with 100+ B2B Content Marketing Statistics for 2013 and it was well received. So here is the list updated according to the 2014 report. Which content marketing tactics are outsourced? 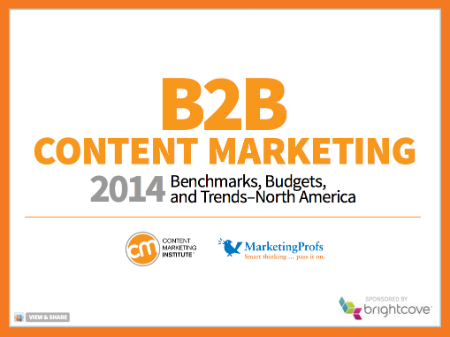 What overall trends are you seeing in the B2B content marketing space? If you’ll be at the B2B Content2Conversion Conference this week, I hope to discuss with you in person! I am presenting Tuesday, May 6th at 2:45pm on working with B2B Influencers to create content that’s socialized and optimized. “Most effective…” This is based on the marketer’s assessment of themselves? That may not be the best measuring stick. Many tend to overrate and, presumably, some will underrate themselves. True – it is a self assessment by marketers in the study. Content marketing is now a necessity for b2b marketers. It’s so difficult to survive and compete with others without creating content to your site. Thanks for sharing this stats Lee! Good luck to your presentation. Lack of unique, innovative ideas should probably feature in the list of challenges. Most readers/site visitors get sick of seeing the same thing over and over again. Thanks for sharing this Lee. It’s a very incisive analysis..